Not only was their celebration one of the most unique wedding experiences I have been a part of, but their day was also just so darn gorgeous. 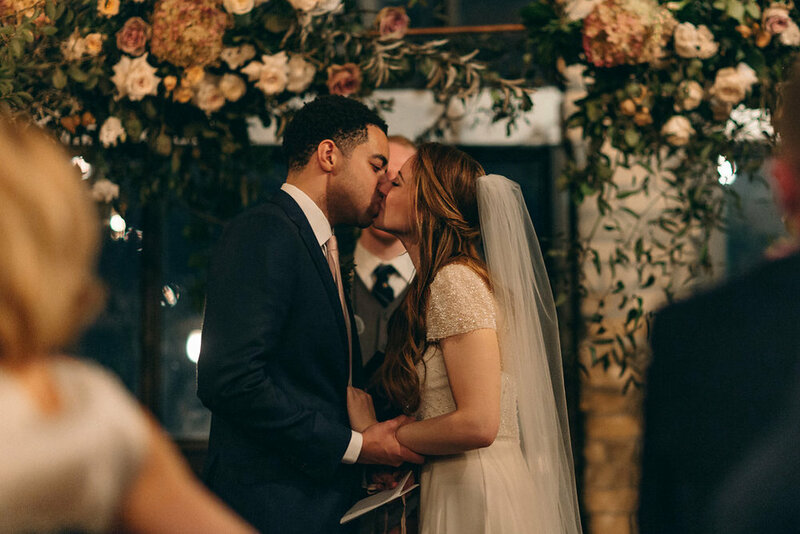 The couple was clear on they how they wanted their wedding to look and feel; they longed for a welcoming and intimate vibe, an abundance of romantic lighting, brass touches, and whimsical florals. With the help of some insanely talented wedding artisans, we were able to help bring to life their unique vision alive.